A throwback, the Abby Table Lamp boasts a slim profile ideal for lighting tight spaces. 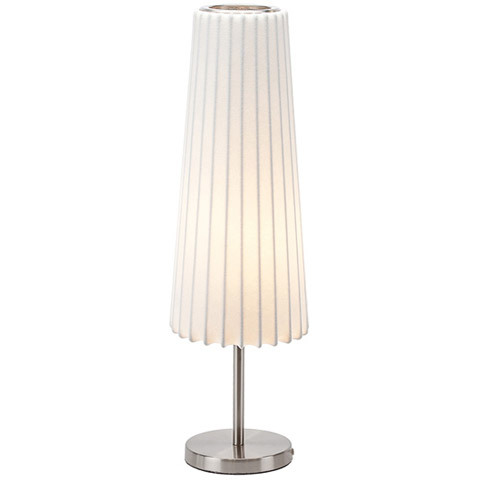 A stylish brushed stainless steel base and shaft supports Abby's spun resin shade. Cord length: 79". Inline switch. Requires one (1) E26 medium base bulb 100W max (not included).